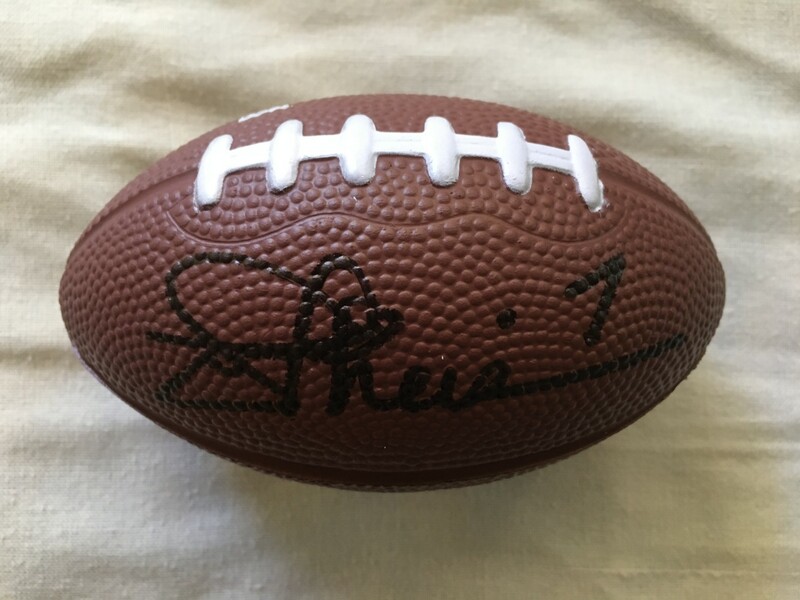 Mini toy foam promotional football (about 4 1/2 inches long) autographed in black marker by former Notre Dame and Washington Redskins star quarterback Joe Theismann. Obtained in person, with certificate of authenticity from AutographsForSale.com. ONLY ONE AVAILABLE FOR SALE.